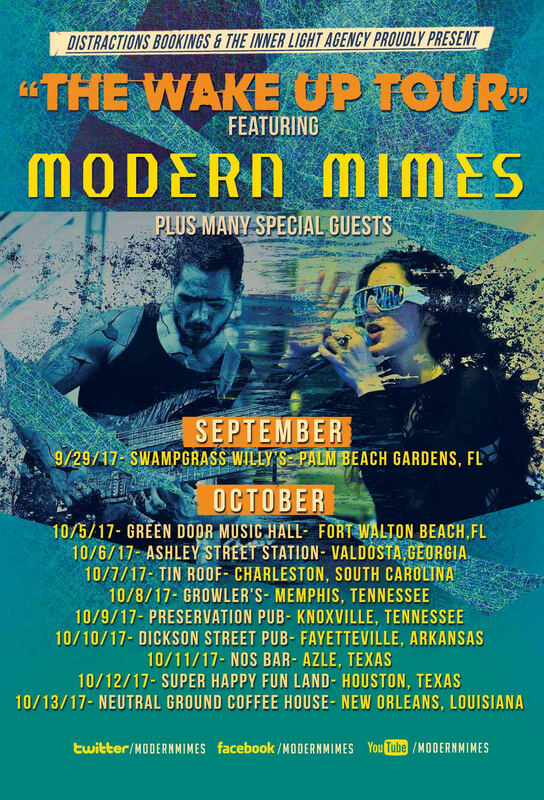 Fort Lauderdale based Future Goth duo Modern Mimes has announced upcoming The Wake Up Tour. Launching September 29th, the tour winds through Florida and the Southeast before finishing up October 13th in New Orleans, LA and will feature several special guests including Analogue Collective, Rocket Coma, and Angela Edge. Modern Mimes is an American music artist duo from Fort Lauderdale, FL. 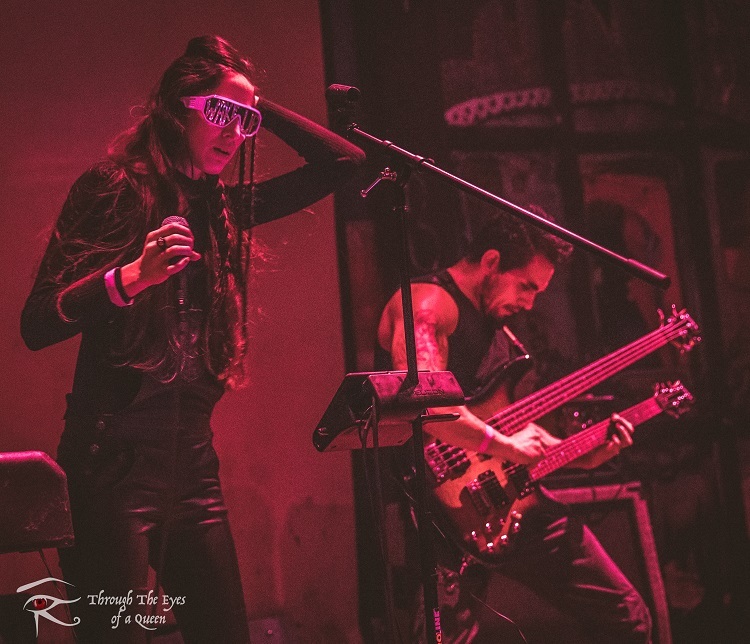 Modern Mimes consists of Adi Elcida Hernandez on vocals/guitar/sampling and Ernesto Paez on the double neck guitar bass. Their music can be best described as “Future Goth,” a term they coined in order to explain the fusion of alternative heavy guitar riffs, powerfully haunting vocals, subconscious provoking lyrics, electronic drums, and catchy pop melodies. Modern Mimes came together in 2014. Ernesto came from a background of touring and playing in heavy metal bands while Adi was primarily a solo singer/songwriter. When fate allowed their forces to join, they took the time to harness their sound unrestrained by genres or trends. Modern Mimes is a perfectly chaotic reflection of the inner workings of Adi & Ernesto who create music in hopes of inspiring listeners to journey through their subconscious and look within. Their debut album Wake Up is a 9 song concept album that was released earlier this year. You can catch Modern Mimes on tour this Fall 2017.